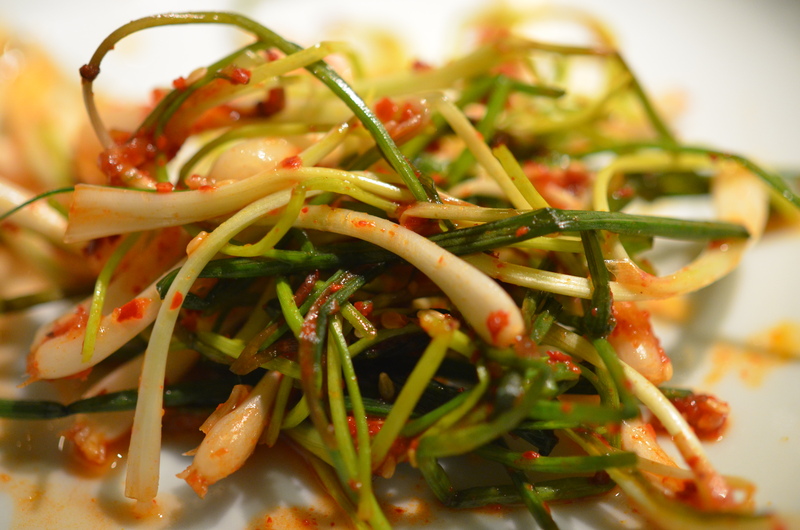 Recently I went to a lunch organized by a dear Korean friend, that was amazing. 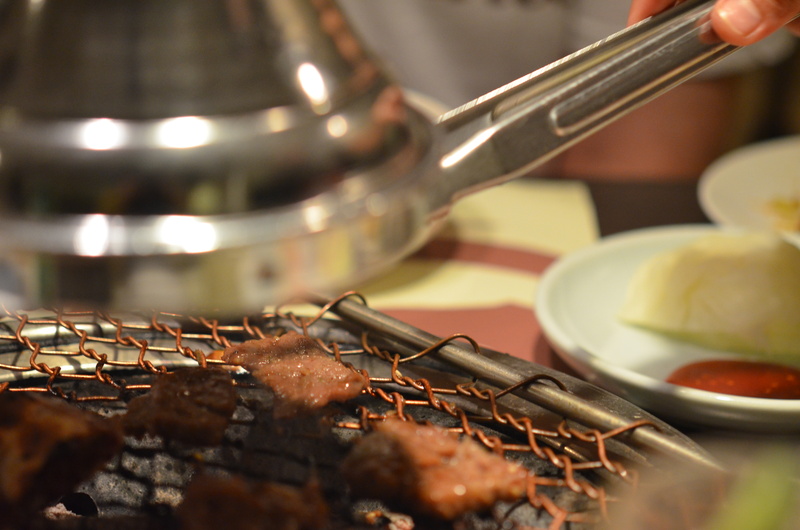 I had never tried Korean BBQ before, and this in retrospect was unfortunate, because the experience proved both delicious and fun. 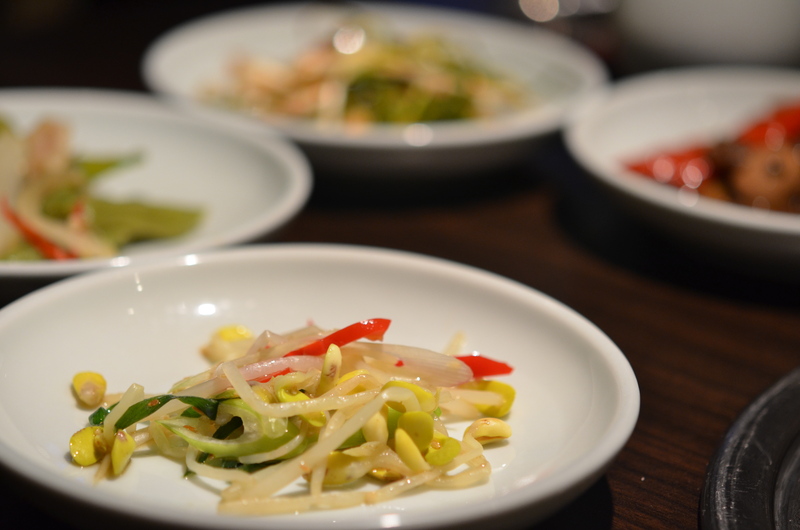 Of course, we were with an expert, one who knew what and how to order, so the meal was seamless–a steady stream of tasty dishes circulating the table until we could eat no more and we left full and happy. So, Saturday night after attending a Gallery opening, my husband and I were feeling adventurous and I suggested to him we try something new. 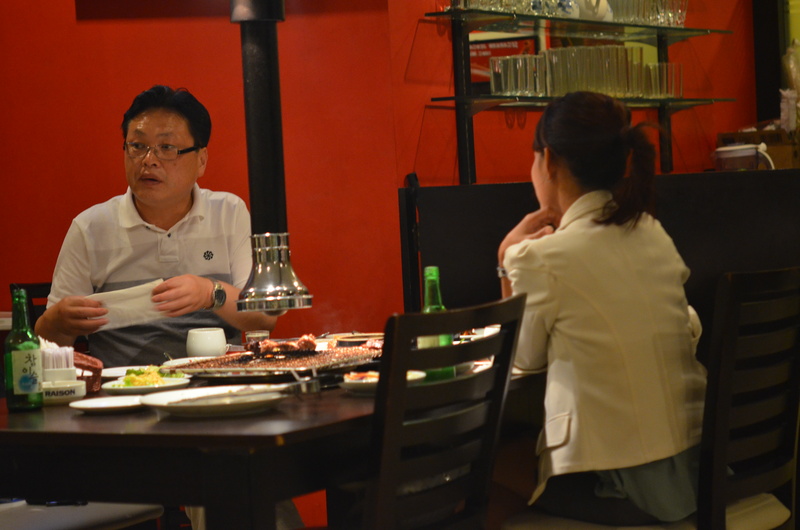 Eager to share what I had learned about the awesomeness of Korean BBQ, we ventured to a nearby place. 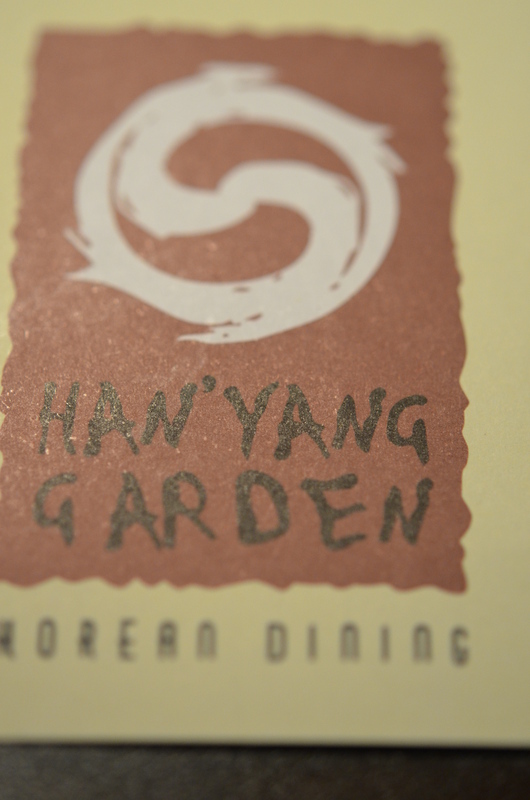 Han Yang Gardens (Jl. Senopati No.43C) was where our culinary escapade would take place. 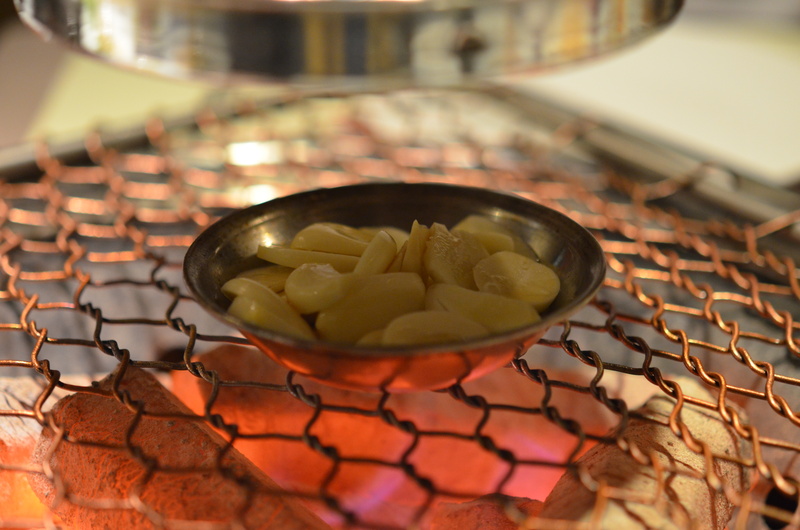 We walked in and immediately felt a bit awkward as the place was packed, but at the same time could not leave because it smelled incredible, our senses were immediately engaged, and we knew a great meal was ahead. 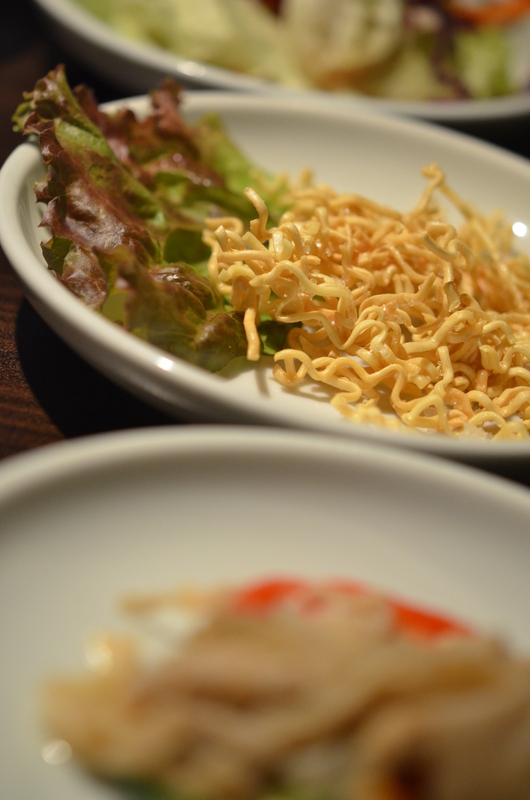 We were seated and handed menus, and as I looked over the offerings, all my confidence in what I had learned earlier in the week tanked. So many choices…so little descriptions. We asked the waitress for advice and debated amongst ourselves, then a happy couple caught my eye. The man and woman seated behind my husband, had a good thing going on. They looked like they had a delicious spread, so instantly I made and executive decision. Closing my menu, I informed the ever so patient waitress…”We’ll have what they are having”. Done and done. I wish I could tell you what exactly we ate. All I can say is that it was great. The couple behind us definitely knew what they were doing. 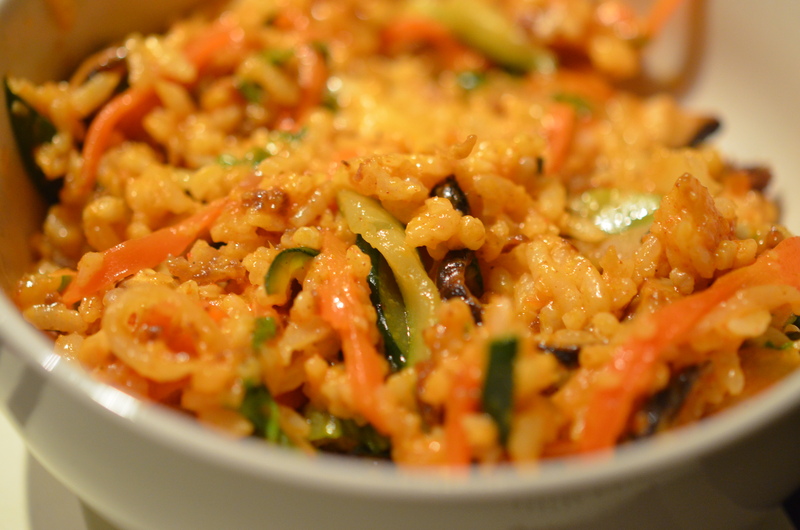 The savory beef was amazing, and the rice dish-which we named Korean Paella-was enchanting. 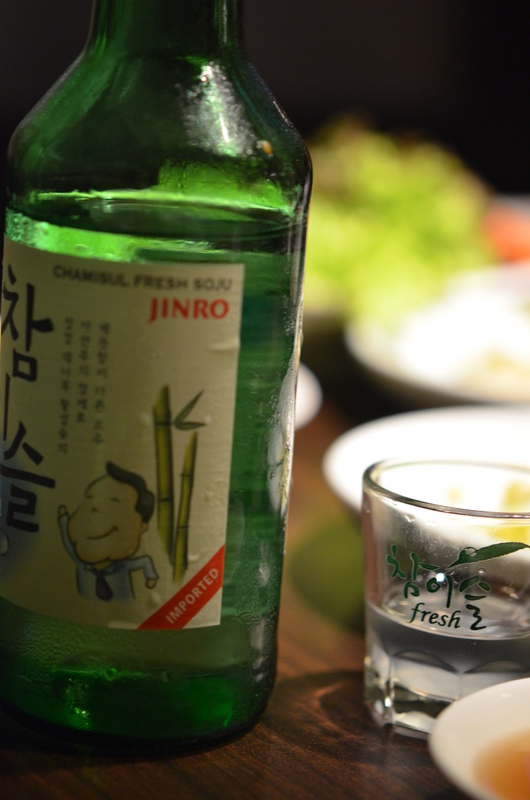 As for the bottle of Jinro soju, that arrived at our table, well, if you add enough lime to it (as the waitress instructed) it tastes great too, so we polished it off with a toast to trying new things. I am still in my pjs but I am filled with the delightful meal I just enjoyed. Sounds like such a culinary adventure that I find myself slightly envious but thrilled that you are stepping in and taking full advantage of the opportunities that present themselves. TFS! ….hey, what about some credit for your guest photographer?? ?